Safety of Short, In-Hospital Delays Before Surgery for Acute Appendicitis: Multicentre Cohort Study, Systematic Review, and Meta-Analysis. Ann Surg. 2014 May;259(5):894-903. 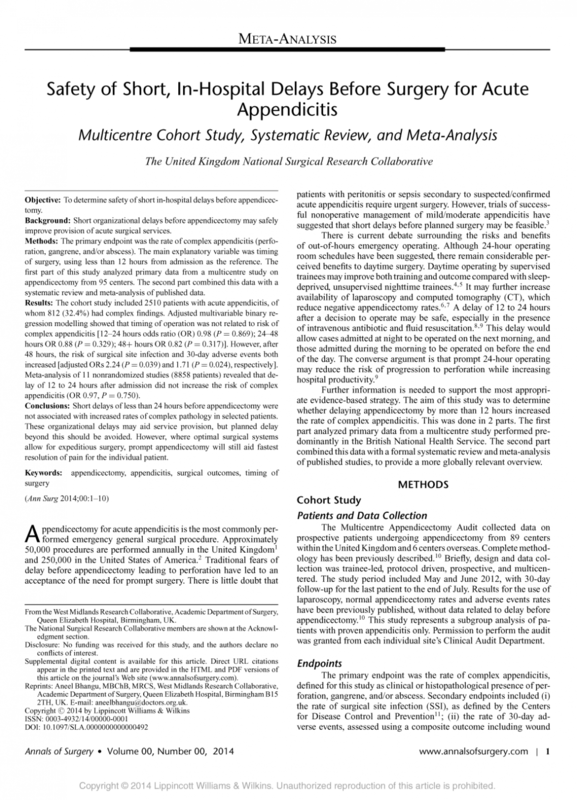 Home » Portfolio » Safety of Short, In-Hospital Delays Before Surgery for Acute Appendicitis: Multicentre Cohort Study, Systematic Review, and Meta-Analysis. Ann Surg. 2014 May;259(5):894-903.